Hire our experienced team of movers and we ensure you a smooth and easy home removal. We also offer furniture removal and piano moving in all areas of London. Our Man and a Van Company can help with your commercial removal or house relocation if you hire one of our removal trucks or moving vans in all areas of London. If you are looking for a removal firm that offers packing and unpacking services, we are the right one – we will supply even cardboard boxes for your belongings. Choosing our office moving firm in London for your business relocation needs will ensure that you will receive much easier and hassle-free office relocation. 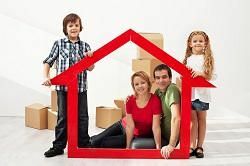 For the majority of people, moving to a new house is a great time for you and your family. However if you don’t keep on top of things at this busy time, it may become highly stressful for everyone involved. This is where you need London Removal to step in. We are a well reputed London removal company that have been helping families with their removal needs for many years. 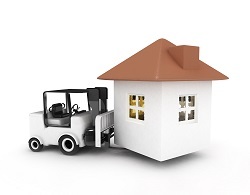 We can boast a huge number of satisfied clients who we have helped during their removal projects. So to find out further details as to what we have to offer, give us a call on 020 8746 4506 and have a chat with one of our customer service representatives. They will describe what we can do for you in detail, offer you a no obligation free quote for our services and then leave you to make the decision to book with us. Our removal firm along with our expert team of movers are highly skilled at what they do and have undergone training and have a large amount of experience at handling a range of different removal projects. Students who need their possessions removed from their study rooms, or office workers who are relocating and need to move out their office furniture have all called us in the past to help with their requirements and have been treated to a quick and efficient service on every occasion. After all, we understand what the process of moving out can entail, so we aim to make the period as easy and as stress free as possible for you, leaving you and your family to get on with the things that matter. Don’t be taken advantage of when it comes to pricing and be wary of newly formed companies that have little to go in when it comes to experience. Booking with a bogus company could results in the damage of your precious items and in worse case scenarios can even result in the theft of your possessions. That is why we urge you to look at our website. Our reputability speaks for itself, and the fact that a vast amount of our business is conducted through recommendations from previous clients proves that we deliver a fantastic London removal service time after time. Just take a look at our website to see testimonies from our customers, all of whom have been immensely satisfied with the services that we provide. We can help your business with office removals, families with house removals in addition to supplying you with a number of other services such as man and van and packing services. Where else will you be able to find all of this from one company? You can move out of your house with us and buy materials such as boxes and packing tape, so stop looking around at other websites and get booking! Our competitive prices are affordable for all and therefore attract a large variety of different people to us who want to make use of the amazing quality of our services along with enjoying our unbeatable prices. No one wants to pay over the odds when it comes to using a removal company, and with our company we can ensure that you won’t have to. Whatever your removal requirements may be, our services can be easily arranged over the phone, so call London Removal on 020 8746 4506 and book with us today. The movers were reliable and professional at all times. LondonRemoval employ a team of workhorses.